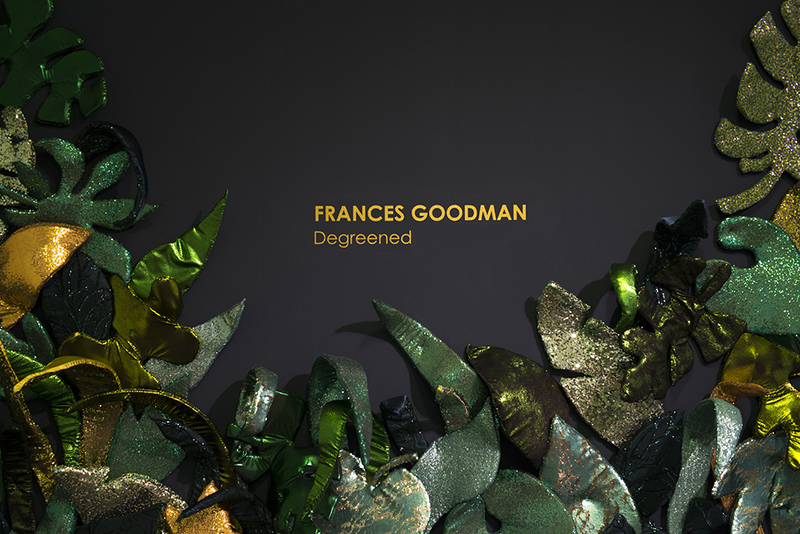 SMAC Gallery is pleased to present Degreened, Frances Goodman’s first solo exhibition with SMAC Gallery. The slang term Degreened refers to a young person once they have experienced their first kiss. It alludes to a loss of innocence, a point of no return, a crossing of the threshold from the simplicity of childhood to the vicarious state of young adulthood. It signifies the beginning of understanding and experiencing the body as sexually coveted object. Using this loss of innocence and the awakening of the desirable and desiring body as a springboard, Goodman seamlessly traverses a number of media in her ongoing conversation around female identity and autonomy. The exhibition features new works whose approaches are explicitly painterly in their use of materials and composition. The texture and formation of the work not only sets the haptic perception alight, but also alludes to the manual pernicity of the artist’s hand, which operates with a light touch. There is a poetic slip from the layered and scaled false fingernails on the aggressively physical flower sculptures to the delicately hand embroidered sequins that shimmer, snake-like across large canvases. Lady Garden plays with the cliché of the flower as a symbol of femininity and innocence, however Goodman’s flowers have cavernous throats and protruding tongues and create an uncomfortable push-pull between the seductiveness of the shiny, slick flower forms and the visceral, abject nature of the false nails from which they are made. 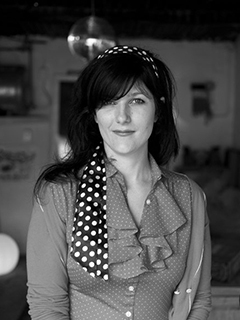 Goodman once again examines the impact and influences the media and the film industry has on the formation of desire and desirability through repetition in her two dramatically different sequin series. We are all familiar with the disembodied glossy, luscious, lips that are plastered across billboards and magazines. They are in essence the signifier of the desirable body: the unattainable, mirage of perfection that teases and taunts us. Goodman’s sequin lips ripple and shimmer, refusing to hold their form, whilst remaining disembodied (w)holes: they are both iconic and ironic. Just as lipstick is applied to be smudged off, the image does not hold. The Sequin Paintings borrow from trashy sexploitation film stills to seductively remind one of woman as automaton, perpetually on the cusp of ecstasy regardless of her emotions, both manipulating and being manipulated by the viewer. The works on this exhibition employ the image of female body already claimed by the viewer, forever degreened.